Innovations in ink chemistry, print heads and UV LED printing equipment have opened up a multitude of choices and a wide range of applications for printing on Hop-Syn synthetic paper. 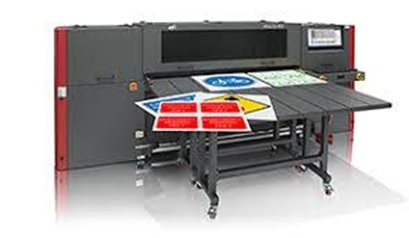 The main reason for the breakthrough in digital printing is that UV LED inkjet equipment manufacturers have expanded their capabilities from wide format printers to small format sheet fed and narrow-web roll fed printers that can print on a wide variety of gauge thicknesses, sheet sizes and roll widths. Designed for UV LED inkjet printing, Hop-Syn synthetic paper is valued for its print quality, diversity, and environmental benefits — at a low cost. The popular and versatile Hop-Syn synthetic paper creates seemingly endless applications. Here are some of the reasons why Hop-Syn synthetic paper is the number one choice for digital printing. 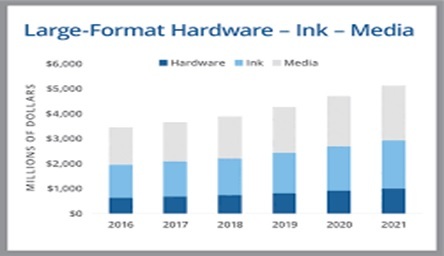 Statistics show that both UV LED inkjet, along with inkjet media, will increase by 50% from 2018 up to 2021. Hop-Syn synthetic paper is well poised to continue to be one of the top durable media choices by leading brands and their print service providers (PSPs). Hop-Syn comes in a variety of grades and wide range of gauge thicknesses, making it one of the most versatile durable substrates. Applications include high opacity for block-out window signs, low opacity for back-lit transit signs, high propagated tear- and UV-resistance that allow it to be used outdoors up to one year under direct sunlight without turning brittle or changing color. The Hop-Syn substrate is well-suited for these applications, and is more durable than PVC vinyl and polystyrene. Hop-Syn’s higher dyne level is better for ink adhesion. Plus, its bright white finish allows PSPs to produce sharper graphics with a higher color resolution, which enhances the printed image. The Hop-Syn substrate also meets brands’ sustainability requirements because it is more environmentally friendly and 100% recyclable, whereas PVC plastics are not. Hop-Syn is made from polypropylene and calcium carbonate, manufactured into a single layered substrate. The calender manufacturing process delivers the tightest tolerance for gauge control and uniformity, resulting in higher quality materials and output by inkjet printers. Its smooth matte micro-porous surface does not require pre-treatment for printing. Hop-Syn can also be easily printed by conventional or UV offset. PSPs appreciate the quick drying, anti-static properties of Hop-Syn for printing point of purchase signs and displays at faster production speeds than non-porous, corona treated plastics such as vinyl, polystyrene and polyester plastic. 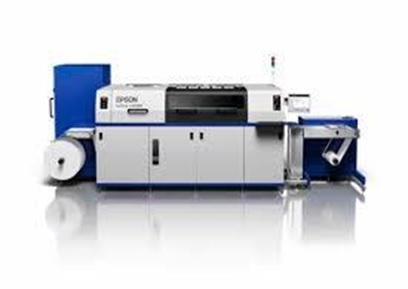 Hop-Syn is considered an ideal substrate for roll- and sheet-fed UV inkjet digital printers, such as the EFI VUTEk, HP Scitex 9000 and 11000, Durst Rho, swissQprint Nyala, FUJIFILM Inca Onset Series, and more. The substrate boasts dimensional stability and a uniform gauge tolerance, with a +/- 5% variance in thickness, for consistent print results in every grade. More than one million pounds of Hop-Syn synthetic paper, in stock sheets and master rolls, are available in the company’s NJ warehouse facilities, ready for shipping within 24 hours. In-house converting services also provide custom-sized sheets, roll widths and roll put-ups, within three to four days from the date of order. Hop-Syn’s knowledgeable sales team is available for advice about everything related to the durable substrate, such as grade selection, printing processes, finishing and fabrication, including die cutting, sewing, grommeting, drilling, and gluing.